Deontay Wilder told Anthony Joshua “the money’s in the bag” as prospects rose Wednesday of a blockbuster world title unification bout between the unbeaten heavyweights. In a Twitter video posted Wednesday, America’s World Boxing Council world champion Wilder backed up reports that his camp had emailed Britain’s Joshua and his promoter, Eddie Hearn, an offer of a minimum of $50 million. Joshua, who unified the World Boxing Association, International Boxing Federation and World Boxing Organization heavyweight titles by out-pointing New Zealand’s Joseph Parker on March 31, had already been recorded saying he’d “take $50 million up front” to fight Wilder. The Los Angeles Times reported that Wilder promoter Lou DiBella had confirmed the offer for a fight in the United States sometime between September and December. ESPN reported that both camps had confirmed the offer, adding that it was for one fight, with no rematch clause, and would have to be the next bout for each fighter. 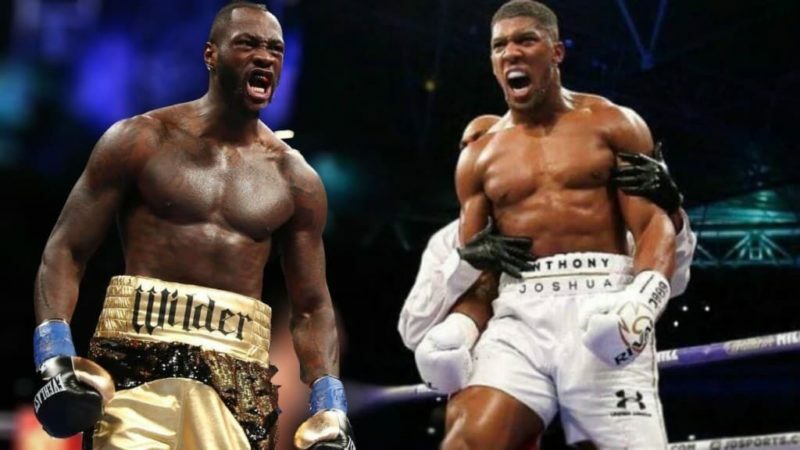 The winner of a Joshua-Wilder bout would be the first man to hold all four major heavyweight titles simultaneously, and Joshua told the BBC this month that he’d rather face Wilder than Russian Alexander Povetkin, the WBA mandatory challenger.